It will be a case of fingers and toes at the ready on Saturday, as everyone tries to calculate the points-difference totals of England, Wales and Ireland to determine who will win the RBS Six Nations title. And while those mathematical equations will definitely be at the forefront of Ireland coach Joe Schmidt’s mind, he also jokes he will be worrying about family finances as his and Vern Cotter’s wives set out on a re-union shopping trip in Edinburgh. 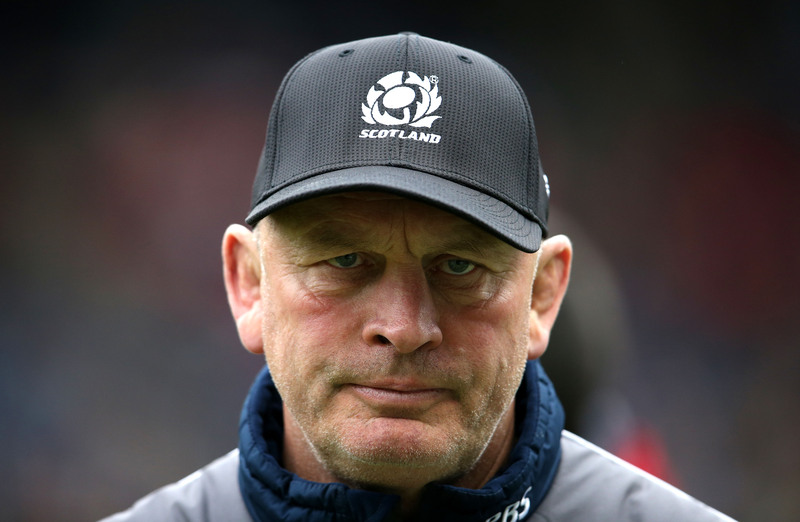 Scotland coach Cotter and Schmidt coached together at Bay of Plenty in 2003-04 and Clermont Auvergne from 2007-10, so their wives are looking forward to a bit of a catch-up. “Vern and I are a little bit worried about the result (of the game) and a little bit worried about the credit card damage. It’s going to be a big weekend in Edinburgh!” laughs Schmidt. Cotter was Schmidt’s boss at Bay of Plenty and Clermont, but it is Schmidt who has made the bigger impact on the Test stage so far, winning the Six Nations title with Ireland last year and claiming the scalps of Argentina (away, twice) and South Africa and Australia in Dublin last autumn. However, Schmidt isn’t about to let Cotter flatter him into a false sense of security ahead of a game which Ireland need to win to stand a chance of making it back-to-back Six Nations crowns. “I know the big fella pretty well and he’s a very astute man. He plays the Kiwi farmer thing a little bit and he likes people to under-value what he brings to a team,” Schmidt says. “He brings an edge to training and preparation. He ensures players are really well prepared and earn the opportunity to play from week to week. Players respond to that. He is organised and intelligent. Joking aside, Schmidt lost out to another Kiwi coach last weekend, when Warren Gatland’s Wales beat Ireland 23-16 to scupper their Grand Slam chances. Why does he think his countrymen are so sought-after as coaches in Europe? “The attraction is obviously not visual!” he quips, before adding: “Don’t tell VC I said that. He’s bigger and stronger than I am.